A gourmet blend of sustainably harvested wild Chaga Fungi (Inonotus obliquus), organic fair trade cocoa, organic cane sugar and organic vanilla. Yum! Category: Chaga Products, Wild Herbal Tea. Tags: Chaga, chocolate, organic, Wild Chaga. 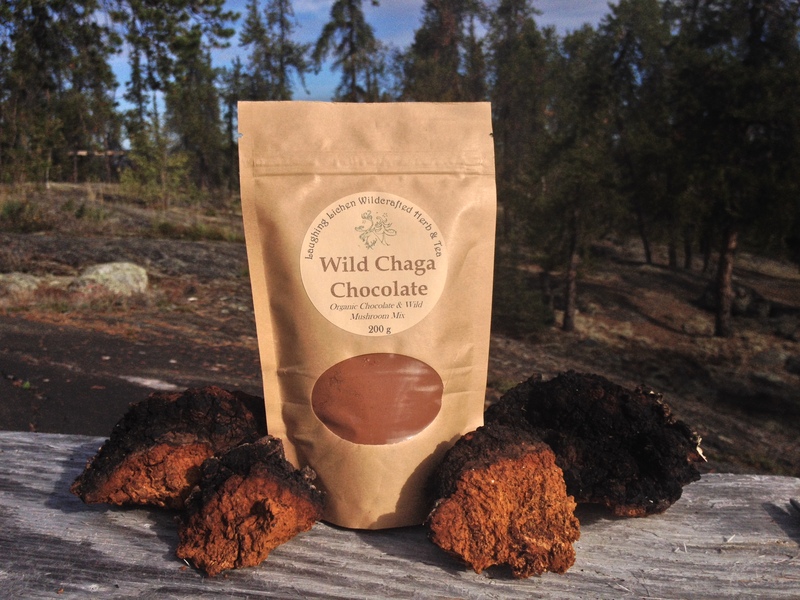 Wild Chaga Chocolate! A gourmet powdered mix of Wild Chaga, organic fair-trade cocoa, organic cane sugar , and organic vanilla beans. Brew this up and serve it as a hot or iced Chaga Chocolate drink. For all you mocha lovers out there add a shot of espresso and voila! One 250 gram package contains enough mix for ten delicious servings. Chagalicious! New 38 g packages for single servings. This Wild Chaga Chocolate mix can also be added to baking recipes such as brownies, cakes, muffins etc. The best! Rich and dark, with just the right amount of sweetness. Love the stuff! Wonderful with a bit of whipping cream and cinnamon, glorious. This is my favourite Chaga hot chocolate ever. My kids love it too. I love that it isn’t too sweet and I think this paired with the rich chocolate taste with the hint of Vanilla is what makes it so maxing. It is so good in a mocha this is what is in my Yeti every morning. Love it.